Aivar Arak is one of the most valued kannel players throughout Estonia. He plays in culture houses, dance clubs, folk festivals and everywhere in between – by himself or accompanied by his father or son, as the tradition of kannel playing runs in the family. 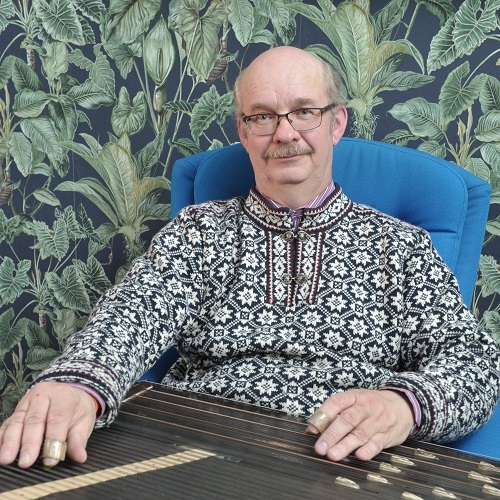 Aivar plays on a full-sounding, powerful instrument made by Osvald Rossmann. He plays with a firm hand and good sense, making it very enjoyable to dance to his music. Outdoor footwear is not allowed at the festival venue. The organizers, hosts, other dancers, and yourself will enjoy the festival even more if you bring your dancing shoes with you. Help us to grow, organize more events, and host more international guest teachers and musicians.